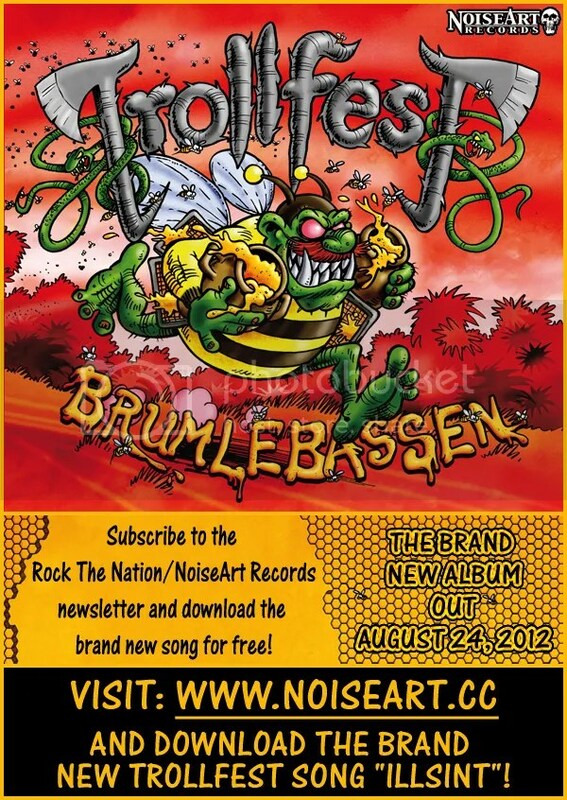 TROLLFEST and NoiseArt Records have made a brand new TROLLFEST song from their upcoming album „Brumlebassen“ available for free MP3 download! Go to www.noiseart.cc, click the link and subscribe to the Newsletter in order to get access to the free download. The song will be available for download until Friday, July 6. With artwork by the Swedish cartoonist Jonas Darnell, who originally created the iconic metal duck from TROLLFEST’s “Villanden” album, and design by Terje Johnsen, the 13-track “Brumlebassen” is set for release on NoiseArt Records on August 24 of this year in both limited edition digipack format and gatefold vinyl. The band are also confirmed to play METALCAMP as well as this year´s edition of HEIDENFEST alongside Wintersun, Korpiklaani and others.